Catherine's own recount of being in a Motorcycle accident in Southern California. Motorcycle Accidents - As a personal injury attorney for over 20 years and a legal representative. I've helped many motorist enthusiasts, motorcycle riders, auto, bicycle and pedestrians who have needed my services to represent them in court for their accident injury claims cases. What I didn't know would come to reality in my own life would change the way I represent clients today. I enjoyed taking beautiful rides around the nice area of Upland, Claremont, San Dimas, Glendora, Covina, West Covina, Azusa, Mt. Baldy, Rancho Cucamonga, Ontario, Pomona, La Verne and Montclair. I was in a motorcycle accident on Mt. Baldy Road in Claremont about 7 years ago. A van driven by an older woman pulled out onto Mt. Baldy Road right in front of me, and she panicked, and she stopped. I was trapped. Blocked in. Either crash to the left into the side of the rock mountain, or drive off the cliff to the right. So I braked as hard as I could, turned slightly to the left and my right side went into her left side van. I ended up UNDER her van, and still don’t know how. I saw my life ending as her back wheel came rolling towards my head. As soon as it all stopped, I was able to crawl out. Adrenaline kicked in, and the pain hit within seconds; neck pain, and pain in my legs, shoulders hurt. Liability? It was all hers, obviously. What about Insurance? She’s older, with her grandkids in the car in a van, so sure, she has insurance. Possible Lawsuit? Even as a personal injury attorney, 20 years experience as a car accident attorney, I was not thinking about my legal rights. I tried to get the drivers license and insurance information, because that’s what I tell my clients to do when in an accident. A motorcycle collision, or any vehicle collision, is so stressful, it brings many legal questions, such as:Do I call an attorney right away? Should I wait for the insurance adjuster to call me? Some drivers are rude when they get out immediately following a collision. Do I have valid insurance? What information do I ask for? Common injuries suffered in a motorcycle accident include broken bones and road rash. It’s normal to get soft tissue injury, too. 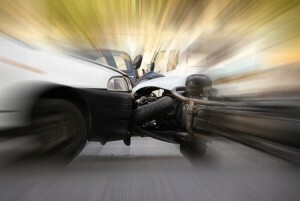 A motorcycle accident is so much more dangerous that a car accident. There is no cage to protect your body. You are out in the open air. Isn’t that exactly why we ride? Riding a motorcycle is all about freedom. I used to ride before the helmet law was enacted. I was lucky because NO broken bones in my motorcycle accident into the van on Mt. Baldy road. W hen I started riding motorcycle insurance was not mandatory. 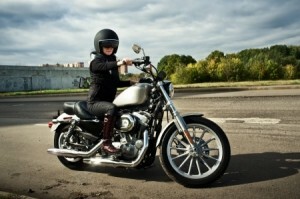 A motorcycle helmet and motorcycle insurance are now definitely mandatory. After an accident, What do I do? Get treated immediately at a hospital emergency room. If you do not have health insurance, but you have motorcycle liability insurance, go to the hospital! The driver who caused the accident probably has full coverage car insurance, and you can demand a claim of money, submit an insurance claim, against their policy. It takes up to a year of medical treatment to get better after the vehicle collision that lasted only a few seconds, to minutes. Just get the help needed by first getting the drivers information and then checking into a hospital immediately for any injuries. 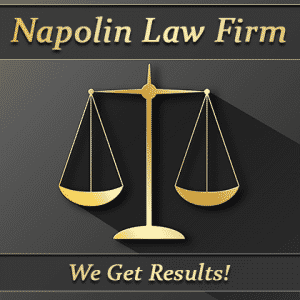 A motorcycle accident attorney will handle all other legal details, investigation and compensation for you. Don't worry over the details and bring on more stress. Our law firm will take care of everything so you can recover from your injuries as we protect your rights as soon as you submit your injury claim demand with our law office. We can also help you find medical treatment to fix your injured body, and your even your bike! My office: The Lombardo Law Office as well as the Napolin Law Firm represent represents riders injured in motorcycle accidents. And, I proudly wear my leather jacket, with rips and tears from the road rash, 7 years later. I’m happy to show it off. It tells a story, my story of my scary bike accident. I survived a motorcycle accident on Mt. Baldy Rd. in Claremont, California and now represent those who have been in a motorcycle accident on the roads of Southern California.